For some, the sight of a dog is just enough to brighten up their day and that's what United Airlines is hoping for. 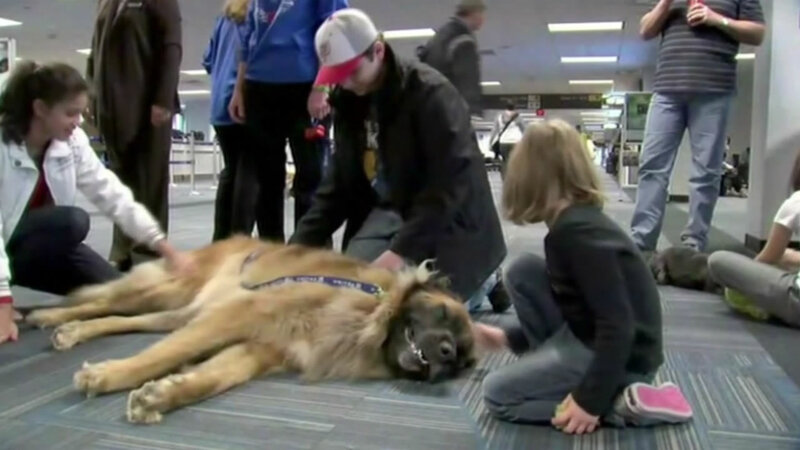 United is putting "comfort" dogs, at seven airports for the next two days. No Bay Area airport will get the golden retrievers, but for those headed to big cities like Los Angeles, Chicago, or Washington D.C., you just might have a special welcoming committee there to greet you.